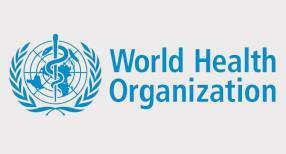 To further contain the spread of the deadly listeriosis disease that has killed at least 100 persons in South Africa, the World Health Organisation (WHO) has advised Nigeria and other African countries to be proactive. The disease which started in 2017 has created serious concern with the world global body working round to ensure that further deaths are being checked. “This outbreak is a wakeup call for countries in the region to strengthen their national food safety and disease surveillance systems,” said Dr Matshidiso Moeti, WHO Regional Director for Africa. Listeriosis is a bacterial infection most commonly caused by Listeria monocytogenes. It can cause severe illness, including severe sepsis, meningitis, or encephalitis, sometimes resulting in lifelong harm and even death. With the deadline disease, the South African government has been forced to halt the supply of meat, with the country battling to put the situation under control. Meanwhile, WHO’s Health Emergencies programme, the Global Outbreak Alert and Response Network (GOARN) and the International Food Safety Authorities Network (INFOSAN) are working with the 16 priority countries to improve their ability to prepare for, detect and respond to potential outbreaks. Immediate steps will include increasing awareness of listeriosis, enhancing active surveillance and laboratory diagnosis, ensuring the readiness of Rapid Response Teams, and strengthening coordination and contingency planning. Experts have been deployed to South Africa, Lesotho and Swaziland to support these efforts. The ministers committed to regional collaboration, exchanging information, and strengthening national food safety systems in line with international standards. The WHO, however, does not currently recommend any trade-related measures in relation to the current outbreak of listeriosis in South Africa, other than the recall of products identified as sources of infection.